Golf Tac: The Rain Tamer. 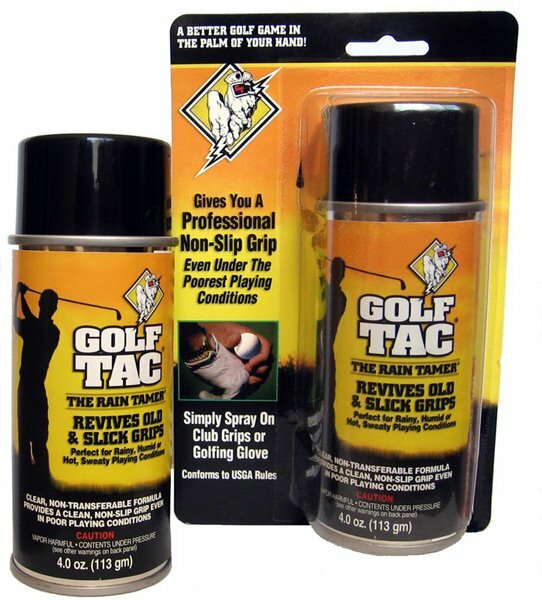 Simply spray-on for a great grip for your golf clubs. Hi-tech tackifier will give your clubs the finesse grip you need to improve your scores. Works in hot, sweaty, rainy, and humid conditions to stop club heads from twisting on impact. A better game of golf in the palm of your hand! 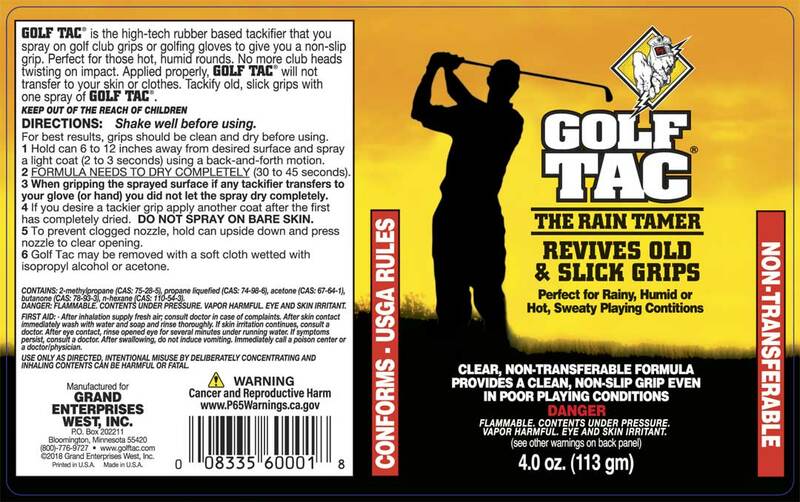 Golf Tac spray-on grip enhancer for golf clubs. It works great in sweaty, hot conditions but it is not an anti-perspirant, rather a tackifying agent. Also works in rainy, humid conditions where a non-slip grip is crucial. Invisible, non-transferable formula means no mess. Pleasant vanilla scent. 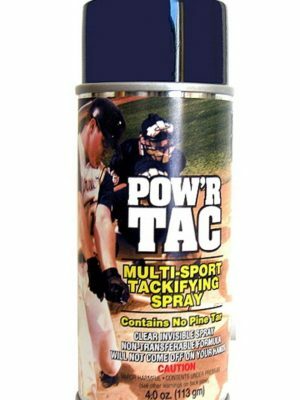 (The same formula as our Pow’r Tac spray labeled for the golfer.) A light coating is all you need. A favorite of arthritic golfers. Rejuvenates old, worn, slippery grips. 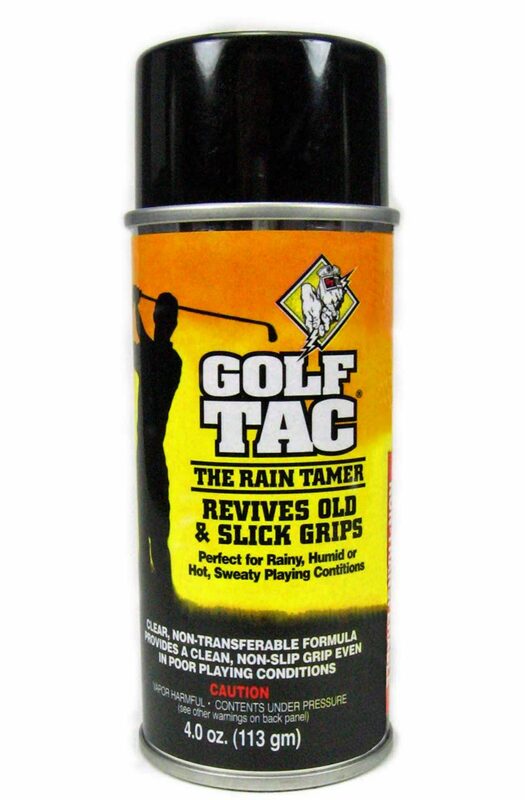 If you know you should replace your club grips because they are slippery but don’t have time, use Golf Tac. Conforms to USGA rules.